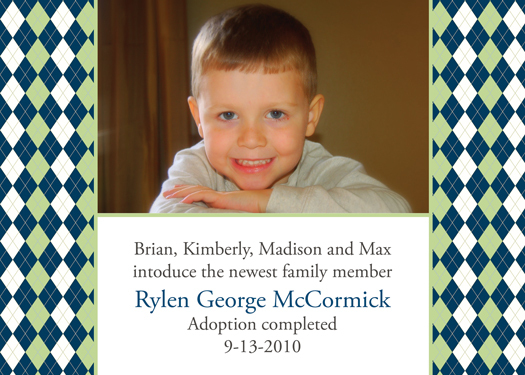 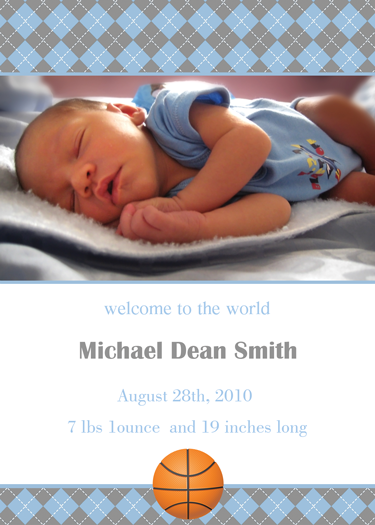 Show off your newest family member off with style with a custom birth announcement. 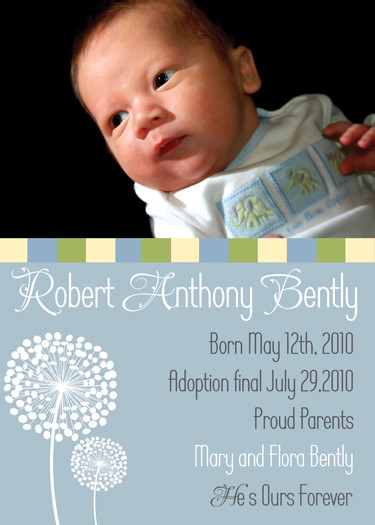 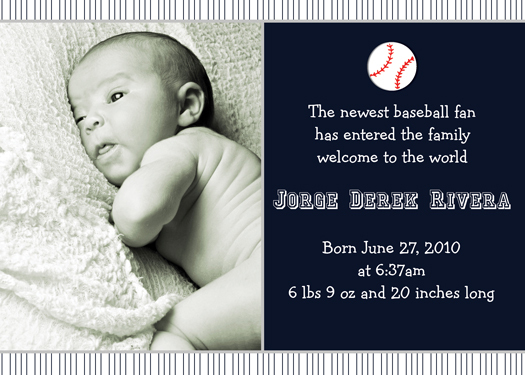 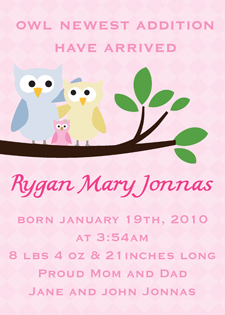 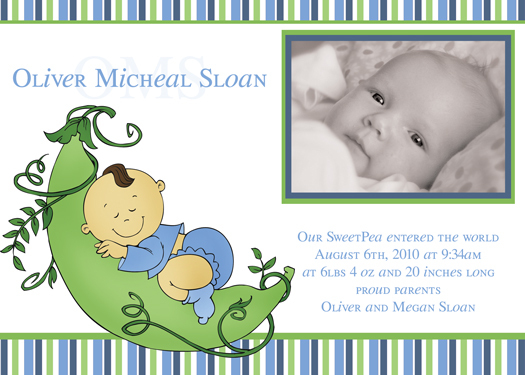 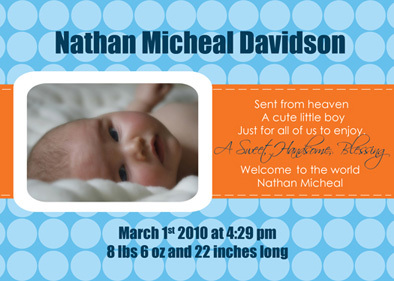 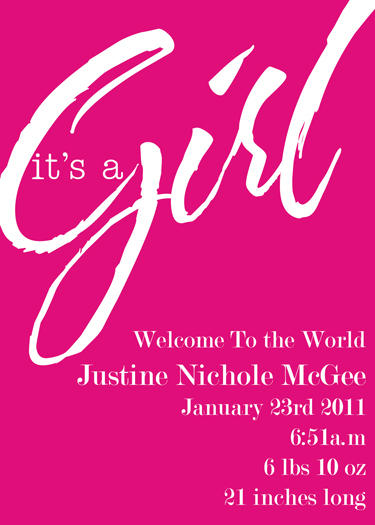 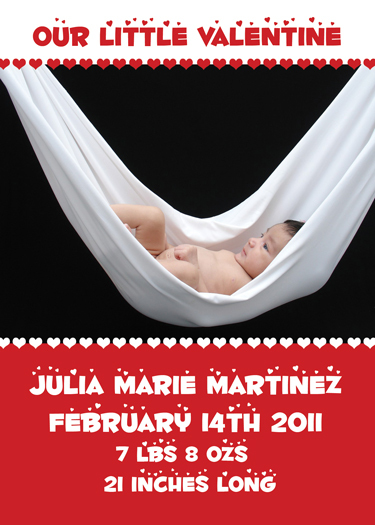 With our custom birth announcements theres a style just for you. 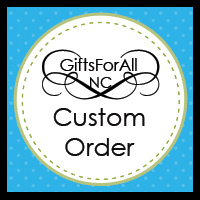 Don't see a design that fits your needs customize one to fit you.